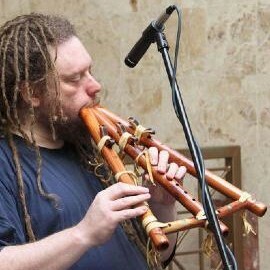 As a musician and composer, Jaron Lanier has been active in the world of new "classical" music since the late seventies. He is a pianist and a specialist in unusual musical instruments, especially the wind and string instruments of Asia. He maintains one of the largest and most varied collections of actively played rare instruments in the world. He has performed with Yoko Ono, Philip Glass, George Clinton, Ornette Coleman, and more. He is an early researcher in the field of Virtual Reality and a well-known speaker and author.